This whole presentation is a project we were handed in Visual Design class at uni. We were told to make up an imaginary restaurant, and create it’s graphical profile from the bottom. 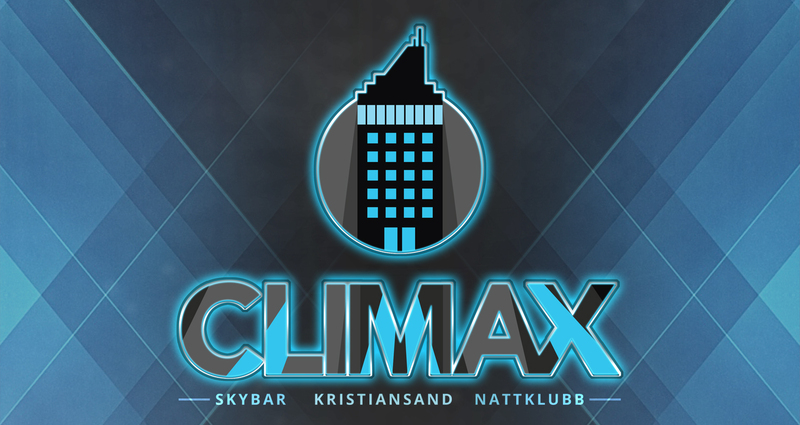 Me and my group chose to make up a skybar that acts as a nightclub in the tallest building of Kristiansand Norway. 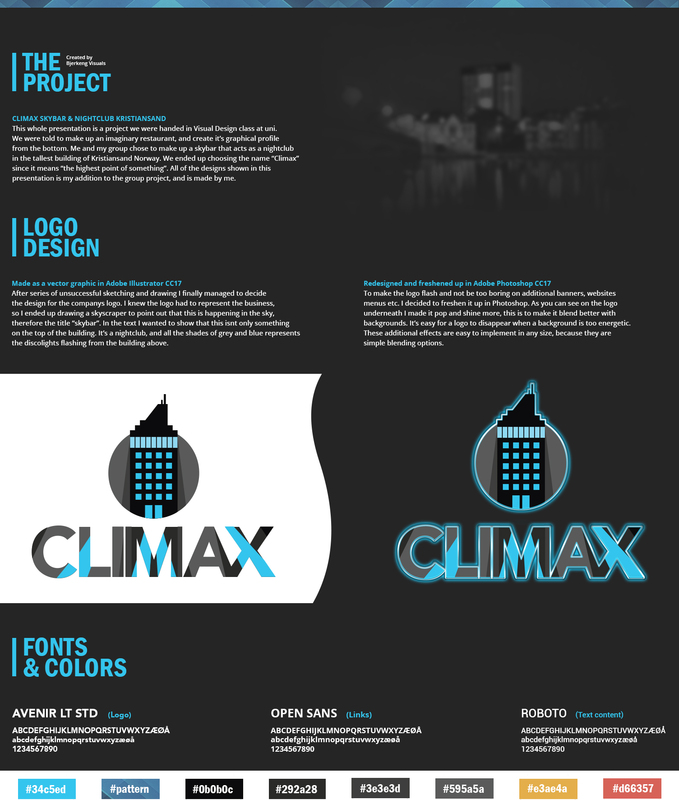 We ended up choosing the name “Climax” since it means “the highest point of something”. All of the designs shown in this presentation is my addition to the group project, and is made by me.